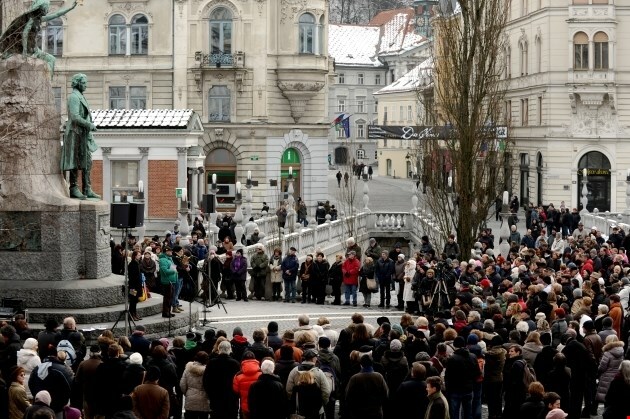 The Prešeren day, Slovenian cultural holiday is celebrated on the 8th of February. On this day in the year 1849 died the biggest Slovenian poet France Prešeren. The poet made a great contribution to the Slovenian poetry and its recognition in the world. His outstanding creative achievements relate to the Romanticism. He was very important person; therefore, his monuments are all over the country. The most famous is the monument in Ljubljana, which stands on the Prešeren Square and looks at Julia in the nearby building. On the day of the Slovenian cultural holiday, a central event is held, at which the Prešeren Awards and the Prešeren Foundation Awards are presented, which in the Republic of Slovenia are the highest awards for achievements in the field of art. On the Prešeren day various events take place all over Slovenia. People can visit most museums, theatres and exhibitions for free. This decision was made with the goal of raising the level of cultural awareness in the Republic of Slovenia.